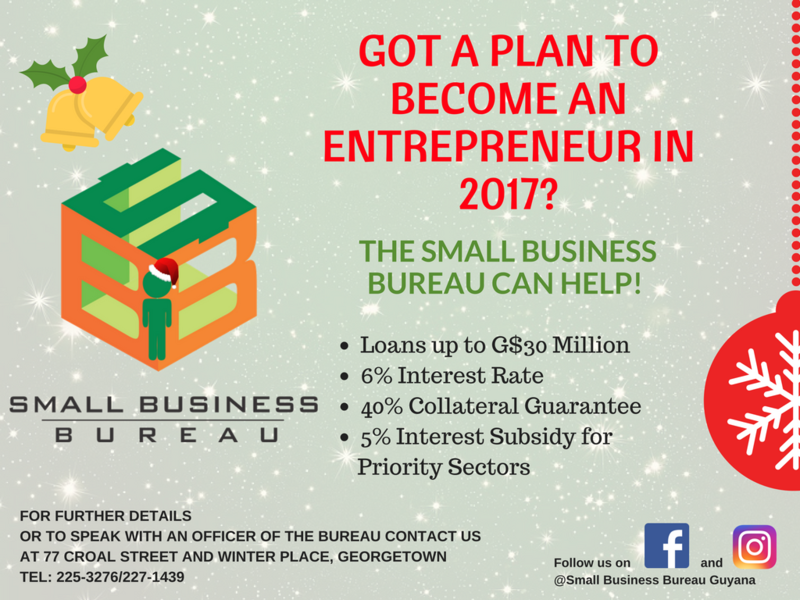 Loans under this scheme are offered at a maximum rate of 6% with collateral support in the form of a credit guarantee which is equivalent to 40% of the loan amount. 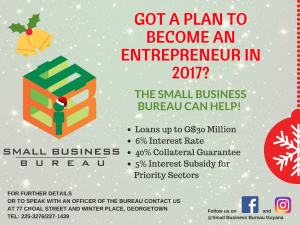 Under the “Micro and Small Enterprise and Building ALternative Livelihoods for Vulnerable Groups” (MSED) programme, SBB can reimburse part of the interest charged on your loan per annum. This subsidy varies from 3% to 5% per annum, thereby reducing the cost of borrowing. SBB through its 12 training partners provides access to a range of skills required for more effective management of your enterprises. Training programmes cover all the areas required to help you better manage your business. SBB facilitates access to an array of technical skills programme which can help you refine what you do. Please see ‘Training” for details on the same. Is registered as a sole trader or company. Has a tax identification number. Has GRA and NIS compliances.